As a Senior Authorised Person, you will be responsible for others working on high voltage equipment. Gain the necessary training and experience you need to do this job safely and effectively with our City and Guilds Accredited Programme. Prior knowledge of inspection, operation, maintenance and repair of HV power systems is essential. Anyone attending training should also have a good level of both spoken and written English. This training programme is designed to bring the knowledge of marine and offshore personnel up to a competency level suitable for Senior Authorised Persons. 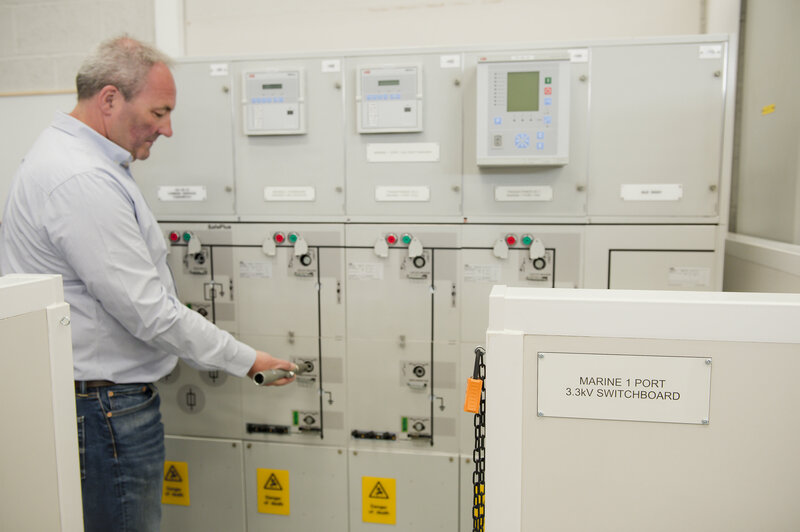 By completing this programme, you will improve your understanding of both high voltage and low voltage power systems, focusing on statutory regulations, safe operation and maintenance on a wide range of marine and offshore power equipment. You will learn to safely perform HV switching operations on marine/offshore power equipment and to prepare yourself for HV authorisation in accordance with your companies’ safety rules and regulations. You should have a strong general understanding of high voltage power networks and be responsible – or are going to be responsible – as a senior figure for performing switching or for issuing safety documents relating to work in HV substations, switchrooms and other high voltage areas. Anyone attending training must also have a good level of both spoken and written English. Our programmes are led by our experienced HV training professionals, each of whom has worked for several decades in the HV industry. When you’re not out performing practical tasks in the HV centre, you’ll be in our classrooms learning the important theory behind your training programme, or relaxing in our canteen for your provided lunch.